Not to worry!! When situations like this come up, just knot the beads onto the leather with linen cording!! Voila! Using a simple macrame knot, I just strung the glass beads onto the linen and knotted around the cording. 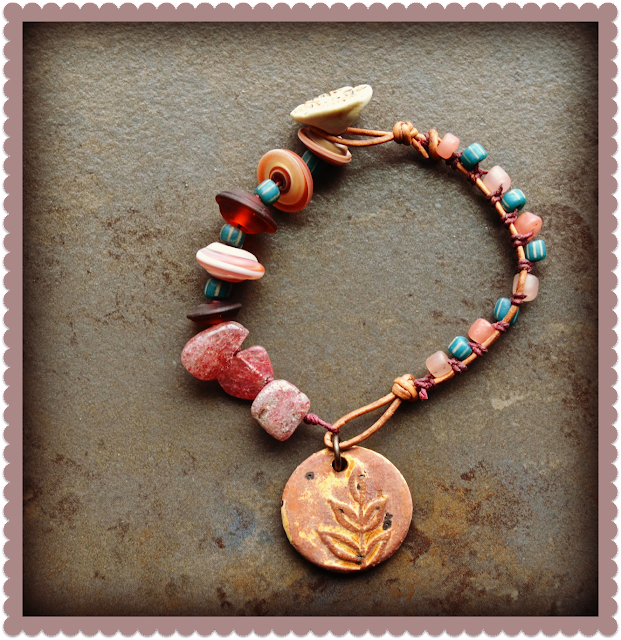 You can learn this technique in our book, Bohemian-Inspired Jewelry! this is gorgeous, what a great idea.